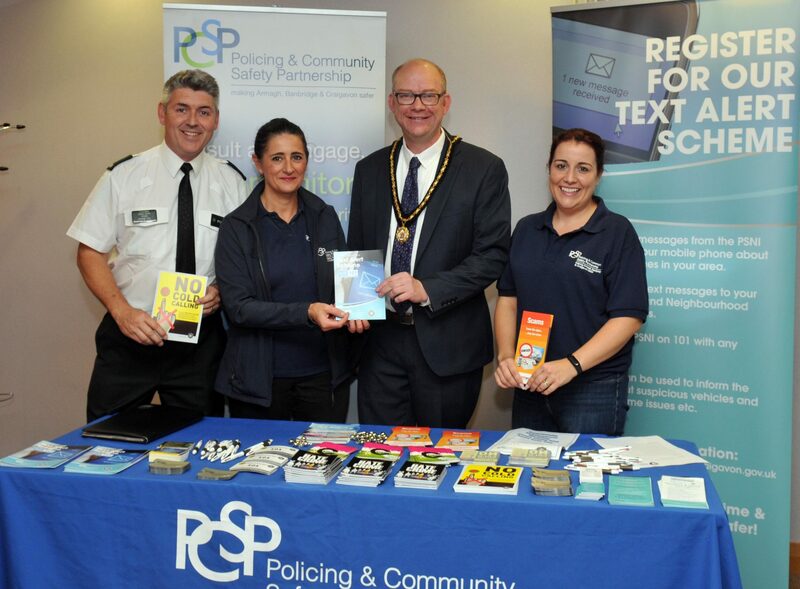 Deputy Lord Mayor of Armagh City, Banbridge and Craigavon, Councillor Paul Duffy at the PCSP stand with Constable David Smith, Annette Blaney and Alison Lappin. 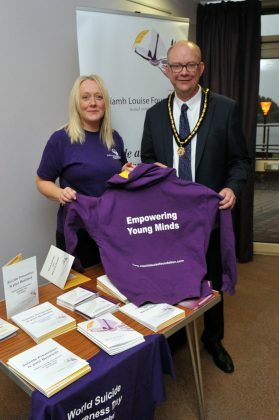 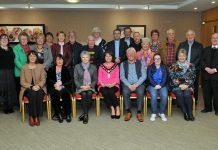 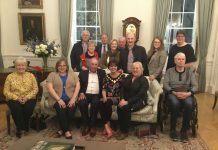 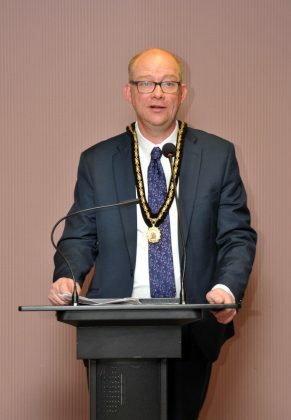 Local residents, health representatives and charity professionals came together this week at a mental health and suicide awareness event hosted by the Deputy Lord Mayor Councillor Paul Duffy. Bringing together a variety of agencies and organisations working in this sensitive and difficult field, the evening aimed to raise more awareness and extend a helping hand to those who may need information and assistance for themselves, family member or friend. 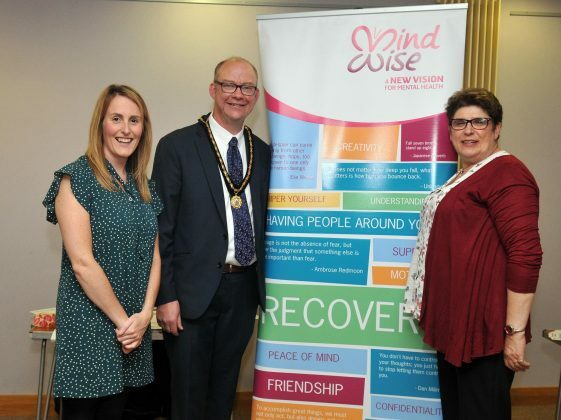 Coinciding with ‘World Suicide Prevention Day 2018’ speeches on the night included emotional testimonials by people who have been affected by suicide & mental health issues in one way or another plus advice and guidance from a wide variety of organisations including – Action Mental Health, PIPS Upper Bann, Niamh Louise Foundation, MindWise, SHSCT Recovery and Wellness College, Inspire Wellbeing, Praxis Care, PCSP and the PSNI. 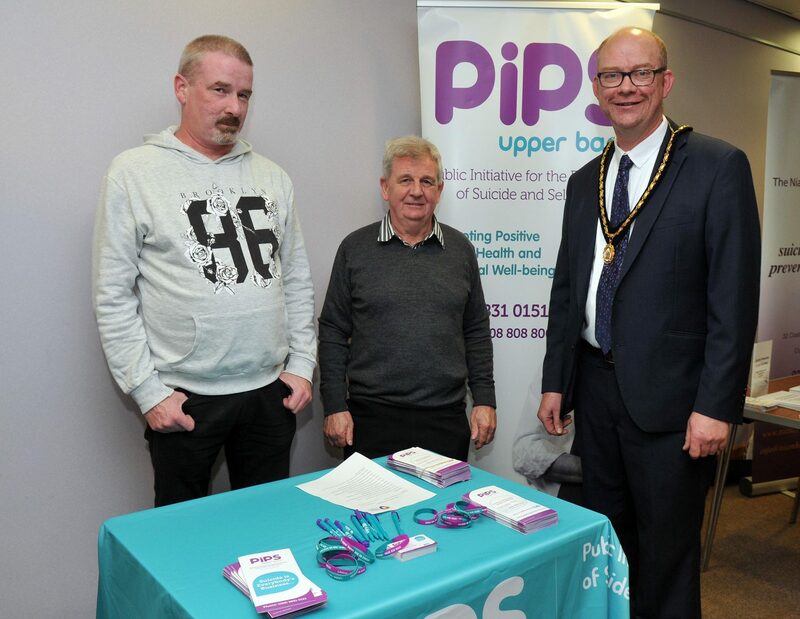 Deputy Lord Mayor of Armagh City, Banbridge and Craigavon, Councillor Paul Duffy chats to Paul Carbery and Malacy Toman from PIPS Upper Bann. Deputy Lord Mayor of Armagh City, Banbridge and Craigavon, Councillor Paul Duffy and Jenny Orton of the Niamh Louise Foundation at the Mental Health Awareness evening. Deputy Lord Mayor of Armagh City, Banbridge and Craigavon, Councillor Paul Duffy with Heather Robinson and Roisin Tallon from Action Mental Health (AMH) and Protect Life Resource Centre. 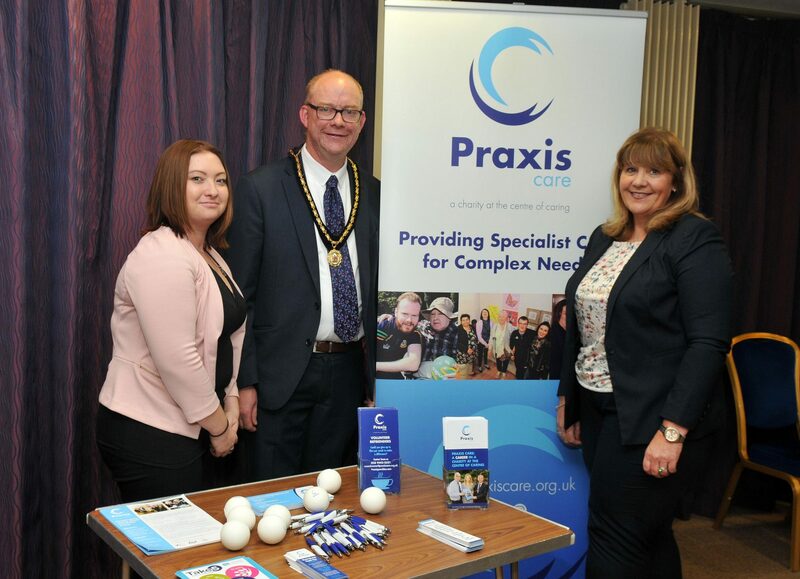 Deputy Lord Mayor of Armagh City, Banbridge and Craigavon, Councillor Paul Duffy with Chloe Mulholland and Aine Murnin from Praxis Care. 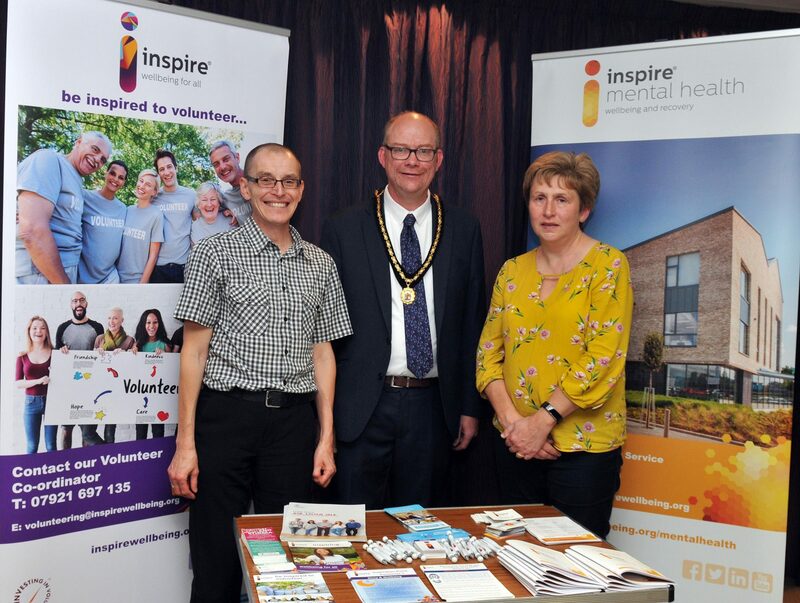 Deputy Lord Mayor of Armagh City, Banbridge and Craigavon, Councillor Paul Duffy with Ian Cardwell and Joanne Curran from Inspire Mental Health. 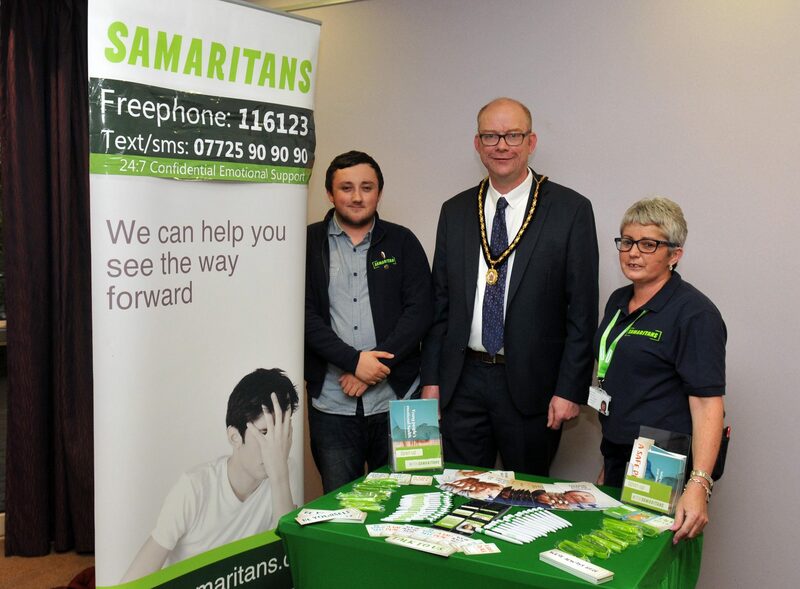 Deputy Lord Mayor of Armagh City, Banbridge and Craigavon, Councillor Paul Duffy at the Samaritans Stand with Tiarnan Haddock and Rosemary Haddock. 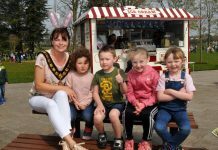 Deputy Lord Mayor of Armagh City, Banbridge and Craigavon, Councillor Paul Duffy with Isla Jenkinson and Jackie McCaughey from Mind Wise. 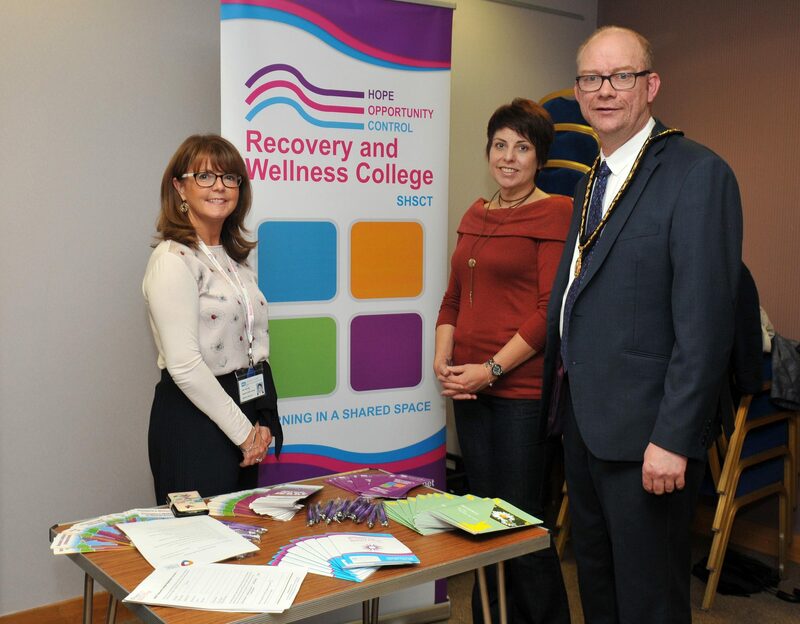 Deputy Lord Mayor of Armagh City, Banbridge and Craigavon, Councillor Paul Duffy with Ann Butler and Lisa Morrison from SHSCT.